Patients suffering from arthritis can relate to unbearable pain and severe loss of motion of joints. While most of the times patients depend on drugs to relieve them of these symptoms, the power of certain foods to help them beat these painful conditions has been lesser known. These foods have been known to possess the ability to strengthen bones along with anti-inflammatory properties. Green leafy vegetables are known to be power foods and are abundant in antioxidants, calcium, magnesium, carotenoids and vitamins. Anti-oxidants help in neutralising the damage caused to cartilages by free radicals and helps in subsiding the pain and the inflammation. They also help in keeping intact the cartilage and help in delaying the disease development and spreading. 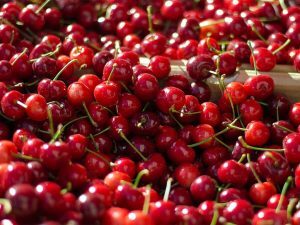 Cherries are extremely flavorful and have been known to possess chemicals that relieve the pain and inflammatory symptoms typical of arthritis. They contain flavonoids and anthocyanins (the pigments that impart them their color) are not just yummy but also excellent to fight arthritis. They also help in remarkable reduction of uric acid in the blood, beneficial for patients suffering from gout arthritis. 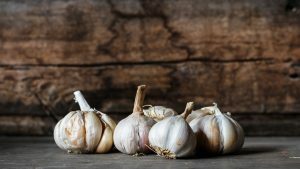 We all know that garlic not only adds flavor to food but can help in alleviating many diseases of the body. It is known to be a super-food that contains antiseptic, anti-inflammatory and anti-viral properties. 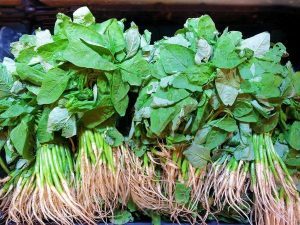 It is rich in sulfur compounds called allicin and diallyl disulfide that help in mitigating inflammatory symptoms related to arthritis. It is beneficial in osteoarthritis and gout as well. 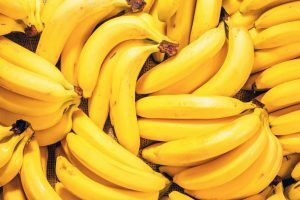 Banana has always been an underrated fruit, but surprisingly patients suffering from RA have seemed to have been benefitted from daily consumption of bananas. It is a power packed food loaded with potassium, vitamins and folic acid. It is known that potassium-rich banana helps in decreasing joint pain associated with arthritis and cuts down the sodium retention and bone mass loss. It also has anti-calcification properties that contribute significantly to improved bone health. 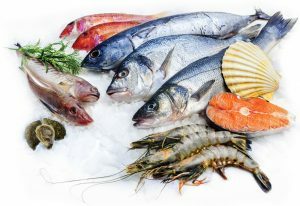 Seafood such as salmons, sardine, etc is rich in omega-3-fatty acids, which are known to possess very strong antioxidant properties. These help in addressing the inflammatory challenges and pain associated with arthritis. They help in alleviating pain and stiffness in joints. Also read about: Can Junk Food Weaken Bones? here and also about Foods that lower cholesterol naturally here. 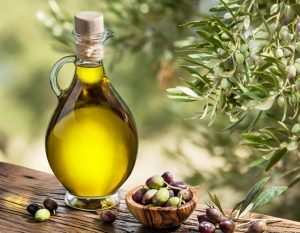 It is rich in oleocanthal and omega 3 –fatty acids that possess superior antioxidant and anti-inflammatory properties. It also helps in preventing pro-inflammatory enzymes to cause significant swelling in the synovial membrane, thereby preventing associated pain. It is highly recommended for cooking foods for patients suffering from osteoarthritis and rheumatoid conditions. 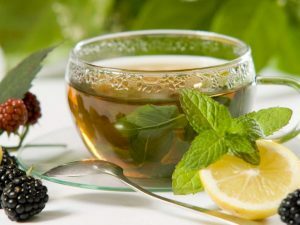 Green tea has been usually associated with weight loss, but that is just one of the many hidden treasures that green tea holds for our health. It is highly rich in polyphenols as well as a specific antioxidant called Epigallocatechin-3-gallate (EGCG), both of which contribute significantly to lowering the pain and inflammation. While polyphenols help in lowering or limiting cartilage destruction, EGCG helps in blocking the action of a molecule that causes joint damage in patients suffering from RA. Get answers to all the FAQs about Arthritis here.